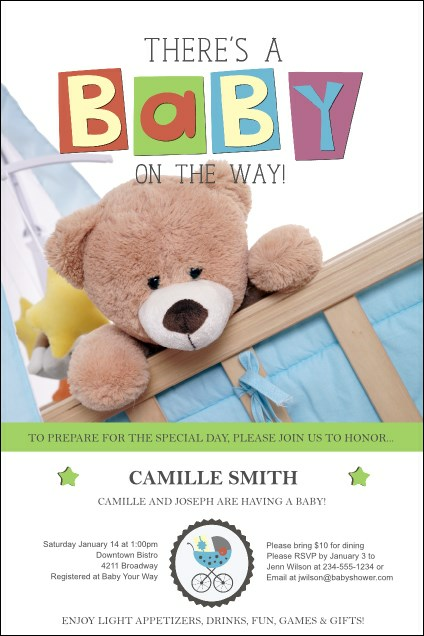 Delight in the abundance of new life with a Baby Shower Teddy Poster! Light, soothing hues of purple, red, blue, yellow and green can help imbue your party with a freshness that's full of life, while the approving face of a teddy bear adds a lively understanding. Seize the spotlight with the right poster from TicketPrinting.com!